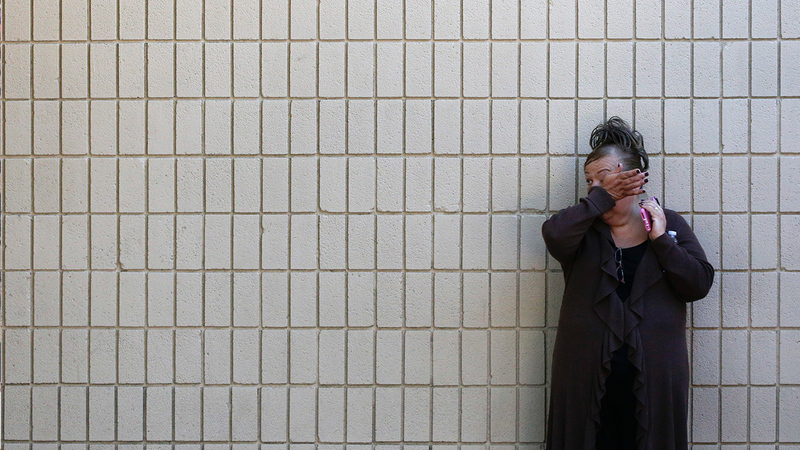 Fourteen people were killed in a mass shooting at the Inland Regional Center in San Bernardino, Calif. on Wednesday. President Obama remarked on the shooting, saying "the one thing we do know is that we have a pattern now of mass shootings in this country that has no parallel anywhere else in the world." Twelve people were killed and 70 injured when a gunman entered the Century 16 movie theater in Aurora, Colo. and opened fire on the crowd during opening night of The Dark Knight Rises. The shooter was convicted in July 2015 and sentenced to life in prison without parole. Jan. 8, 2011: Political event shooting in Tucson, Ariz.
Six people were killed and 14 were injured, including Rep. Gabrielle Giffords, when Jared Loughner opened fire outside a supermarket in Tucson, Ariz. Loughner was sentenced to life in prison without parole. Eight people were killed when Omar S. Thornton, a former employee of Hartford Distributors, opened fire in the beer distributor's warehouse. Thornton later turned the gun on himself. Four police officers were killed when Maurice Clemmons entered a Parkland, Wash. coffee shop and opened fire. Clemmons was later killed by police after a two-day manhunt. Five people were killed when Charles Lee Thornton opened fire at Kirkwood City Hall. Thornton was then shot and killed by police. Eight people were killed and four injured when Robert A. Hawkins opened fire at the Omaha, Neb. mall before turning the gun on himself. Thirty-two people were killed when student and shooter Seung-Hui Cho opened fire at the Virginia Tech campus in Blacksburg, Va. Cho then killed himself. Seven people were killed when Bryan Uyesugi, an employee of the Xerox Engineering Systems office in Honolulu, Hawaii, opened fire on his co-workers. Twelve students and a teacher were killed when Eric Harris and Dylan Klebold opened fire at the Littleton, Colo. high school before killing themselves.